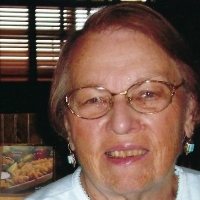 Noelie Rita Betoniee, the daughter of the late Frederick Bertonier and Lena Letullle Bertoniere, passed away on Wednesday, April 3, 2019 in The Villages, Florida. She held a BS degree in Chemistry from St. Mary’s Dominican College and a PhD in Organic Chemistry from the University of New Orleans. She was employed as a Research Chemist/Research Leader at the United States Department of Agriculture’s Southern Regional Research Center in New Orleans, Louisiana, for 41 years prior to her retirement in 2001. Dr. Bertoniere is the author of numerous technical publications involving her research on the chemical modification of cotton fabric and the structure of cotton cellulose. She was a member of the American Chemical Society and the American Association of Textile Chemists and Colorists. She was a lifelong resident of New Orleans until she lost her home to flooding after Hurricane Katrina in 2005. In 2006 she moved to The Villages, Florida.